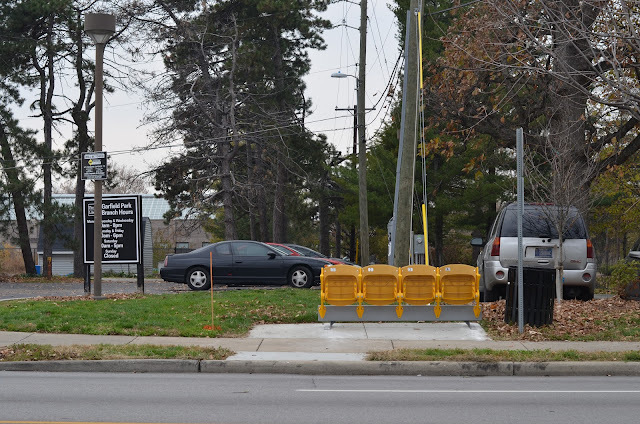 Long-time readers of this blog know that I have a collection of public seating photographs. One of the first sets of photos I published to this blog was of seats in Berkeley. Many of the examples of seating in Berkeley were provided by private individuals as acts of neighborliness or artistic expression. 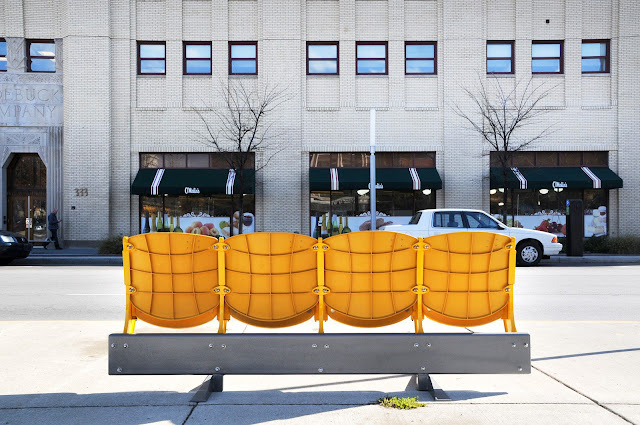 In Indianapolis, the nonprofit People for Urban Progress (PUP) and the municipal transportation authority IndyGo have partnered to refurbish and install the famous yellow and orange Bush Stadium seats at qualified transit stops. These attractive and eye-catching seats are known as PUPstops. The project is creative and community-minded, sentiments that IndyGo's Samantha Cross articulates below. 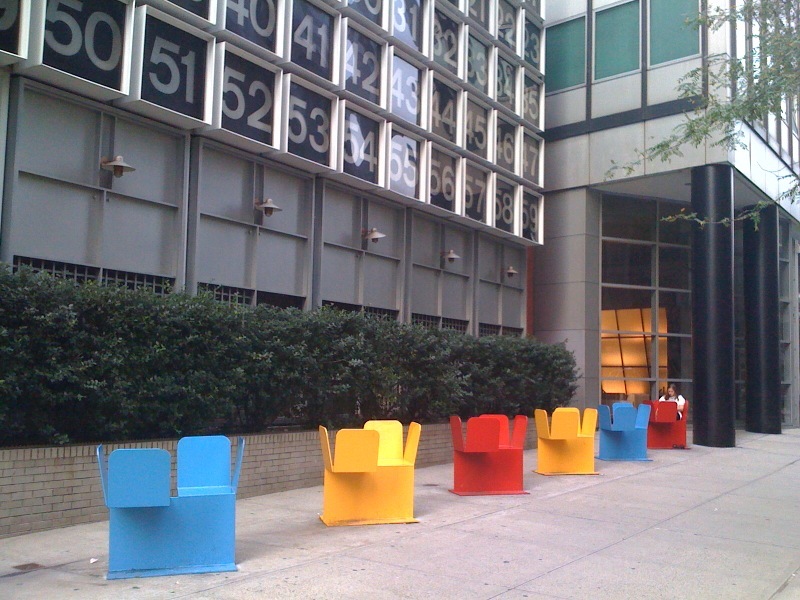 The cheery color of the PUPstops seats remind me of the primary-colored double seats on Water and Fulton Streets, pictured above and here. Another reason for providing seating in the public realm is to promote a lively, sticky sidewalk and is often associated with commercial uses. 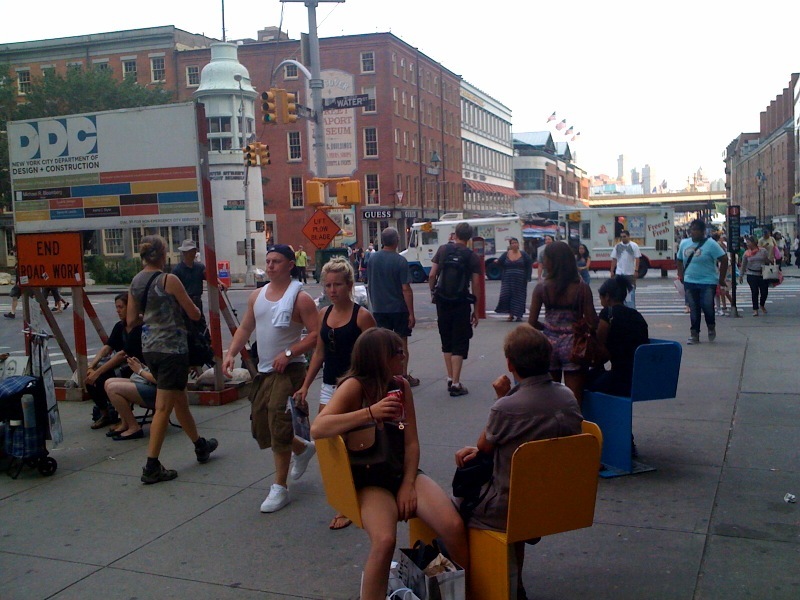 The Sullivan Street seat, shown above, was installed under the NYC Street Seats program while the ASLA-award winning Powell Street Promenade in San Francisco is part of that city's Parklets program. What type of public seating programs are available in your city?